For those who have the psychic capability to see spirits, this guardian will fill the astral and etheric area of the property with a vibrantly colored, thriving coral reef, complete with the entire complement of species--a mimic of the entire reef ecosystem. It is a single construct, but comprised of many 'minds' and personalities, from shy gobies and industrious cleaner wrasse on up to predatory sharks. 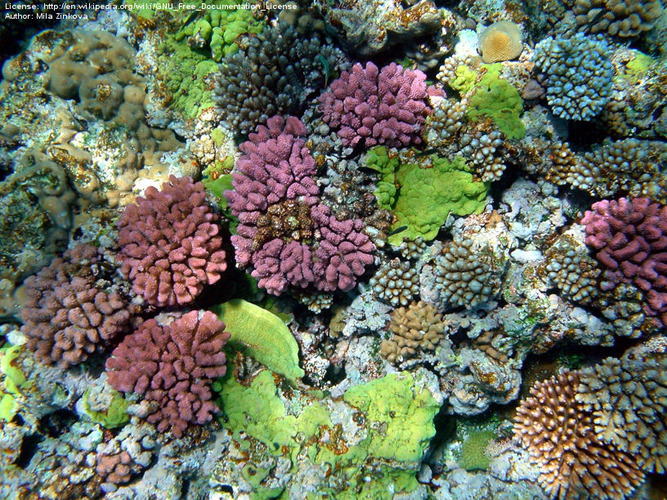 The reef grows and changes over time, as a natural reef would. In addition to the standard house Guardian capabilities, it will defend any building the stone is placed in from hostile psychic intrusions by those who do not belong and were not invited there by the rightful occupants. It can create a formidable variety of house shields, and also extends its protection to all of the people who are legitimately inside the building, and is affectionate toward them. It knows ocean magick, and may be able to teach it to those who are telepathically receptive. It has a strong tie to and can channel water elemental energy. It can influence others' emotions, and provide empathic shielding. It may be able to enter peoples' dreams and interact with them there. It may have other abilities associated with the guardian projections it produces.